I wrote a lot of code in last 2 days. Since I haven’t planned implementing Themes as I started writing TaskBot 1.0 It was quite a challenge to implement it. I had to make a major rewrite of code. BUT it was totally worth it. Here is a screenshot from alpha stage of 2.4.0 with leather theme. Nope this is not a Mockup! 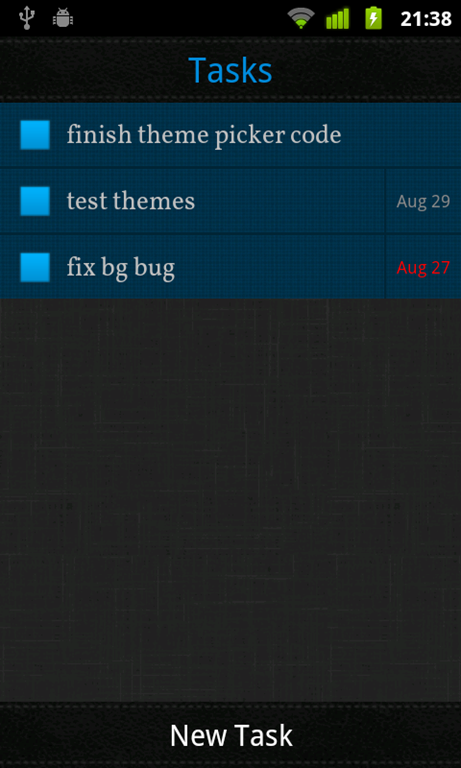 it was taken from my Nexus S I am hoping to finish writing theme framework in two days.